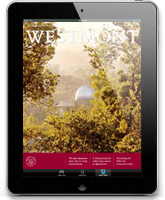 Music has played a significant role at Westmont from its earliest days. Helen Catherwood, the daughter of Trustee W.W. Catherwood, joined the faculty of Western Bible College part time in the fall of 1939. She took over the choir, which consisted of 30 students from a total student body of 70. Over the next seven years she left her marks on choral music at the school. A graduate of Biola in 1934, she earned a Ph.B. from Wheaton College. Dr. Emerson, who played the cello, was a strong supporter of music in a Christian liberal arts college, and when he came as president, he determined to build a strong faculty in the area. 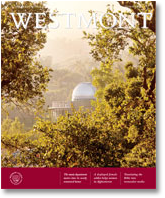 Editor’s Note: This article is an excerpt from a history of music at Westmont by Paul Wilt, professor emeritus of history and former college archivist.